We all love our families and our pets, and we would do anything to keep them healthy and happy. How we can protect our family? Well, it’s very simple; as pet owners we can keep our pets healthy by administering a broad-spectrum parasite preventative year-round, as recommended by the CAPC (Companion Animal Parasite Council). The preventative should have efficacy against heartworms, intestinal parasites, fleas, and ticks. This recommendation will help prevent diseases not only in our pets, but also our family members. 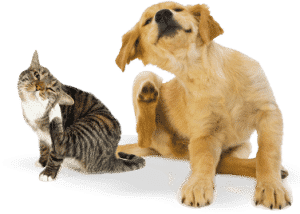 Some of the diseases that we can get from our pets (also known as zoonotic diseases) are roundworms, hookworms, tick-borne diseases, such as Lyme’s Disease, and Cat Scratch Disease. Lyme’s disease is caused by the bacteria Borrelia burgdorferi that is transmitted through the bite of an infected deer tick. Cat Scratch Disease occurs by the traumatic inoculation of the bacteria Bartonella henslea, and it’s transmitted from pets to humans via fleas. Roundworms (Toxocara spp.) are transmitted by the ingestion of the egg from a contaminated source, such as soil or pet feces. Hookworms, like roundworms, can be transmitted by ingestion of the eggs; however, they are commonly acquired by penetration through the skin. This is the main reason why dogs (and cats) are not allowed in beaches or playgrounds with sandboxes, which are places where people lay on the sand and walk barefoot. If dogs defecate on the sand that immediately becomes a public health problem. People and pets are at the same risk of being bitten by ticks due to the simple fact that many ticks live outside; non-the-less our dogs and cats can bring then into our home if we do not apply the appropriate preventative product. However, there is one tick (Brown Dog tick) that can be found in cracks and crevices in houses, garages, and dog runs. These ticks often crawl up walls in homes and kennels, posing a risk to indoor-only pets. How serious could these diseases be? Some of them can be very serious. For example, a roundworm infection can cause visceral larva migrans, a medical condition that could affect the liver and lungs, and ocular larva migrans, that can cause blindness. Hookworms commonly cause cutaneous larva migrans, and it’s one of the main reasons why people should not work in the garden without gloves. Lyme’s disease is characterized by an acute or a chronic infection that can affect our joints, kidneys and immune system. The good news is that we can prevent all of these diseases on a monthly basis. 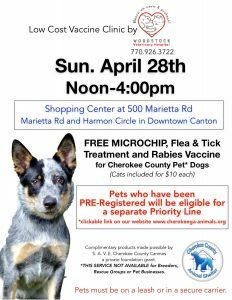 We need to administer a monthly dewormer, usually included in the monthly heartworm prevention, and a flea/tick control product. Please consult your veterinarian for available products. The peace of mind to enjoy our pets is invaluable. 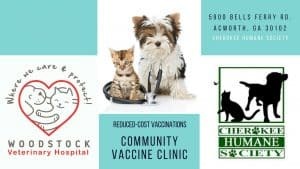 We will do anything to keep our family safe, and a simple monthly dewormer (heartworm prevention), in combination with a flea/tick preventative is all we need to do, every month, all year round, to do so. Let’s Protect Our Family by Protecting Our Pets!